I woke up last Sunday realizing it was a gorgeous day in Southern California. After a long hot summer, it finally felt like fall has arrived in Southern California. With temperature dipping below 80 degrees, we wanted to take advantage of the beautiful weather by visiting the Oak Glen Preserve in Yucaipa, California. Located 80 miles from Orange County, the drive to Oak Glen Preserve took about an hour and half without any heavy traffic. We arrived at the preserve at 10:30 and the place was getting crowded. The entrance to the preserve is free but they do encourage donations at the end of the hike. The main loop of the hike consist of 2-miles of flat walking. The trail started out at Children’s Forest, I was delighted to find tons of California native plants blooming in the area. Next, we stopped by a large area shaded by giant sequoias. 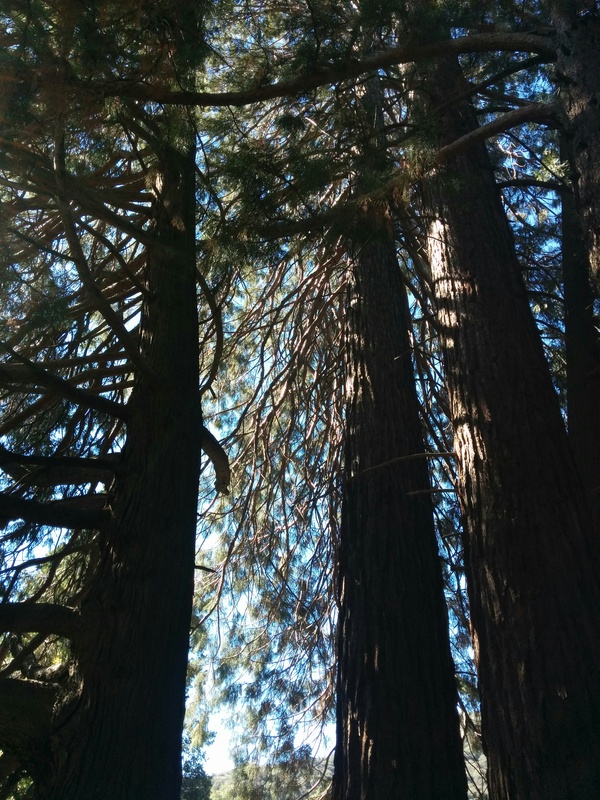 Although these sequoias are young compared to their counter parts in the north, it felt a little surreal to be looking up at giant sequoias in San Bernardino County. Nonetheless, it was a great way to experience the sequoias locally without having to travel too far. Next we hopped onto the chaparral loop and decided to extend our hike up the spurs trail. The spurs trail was definitely a good cardio workout, it is 0.9 miles of steep single-track uphill, we were definitely out of breath by the time we got to the top of the hill. The view at the high elevation is definitely worth the hike if you have the time. This was the view at the top of spurs trail. 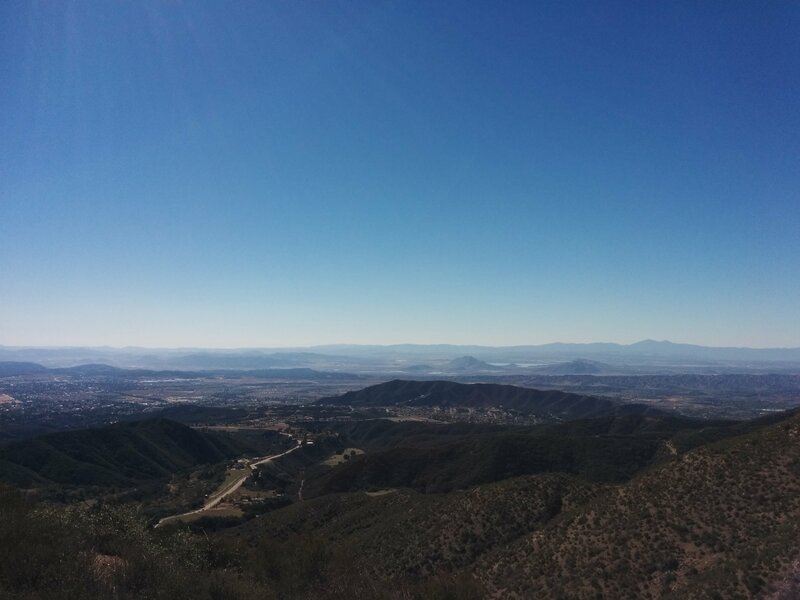 Since it was a clear day, we were able to see the Saddleback Mtns near our house from the high point. We finished our 5 mile hike around 1:30PM and noticed the picnic areas near the entrance of the preserve was now packed with lots of young families. We initially wanted to stop by the Los Rios Rancho, a shop next door to the preserve, however, seeing how long the lines were for a seasonal pie, we quickly changed our minds. The Oak Glen preserve is open daily from 8AM to 4:30PM. It’s a great place to take family and friends and spend a day outside. The main loop trail is easy to do for people of all ages and if you are looking for something a little more challenging, the spurs trail is a good one to try. 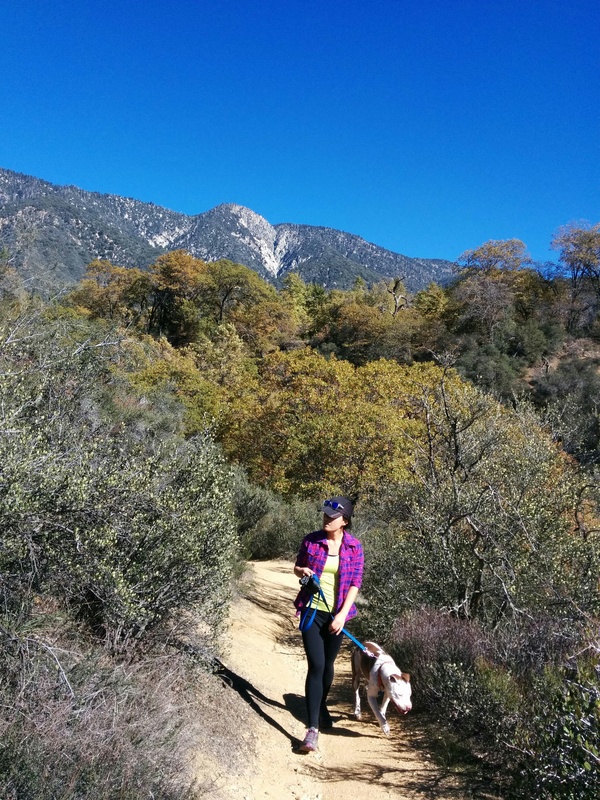 The preserve is also dog friendly, so take your pup with you to enjoy this amazing open space!